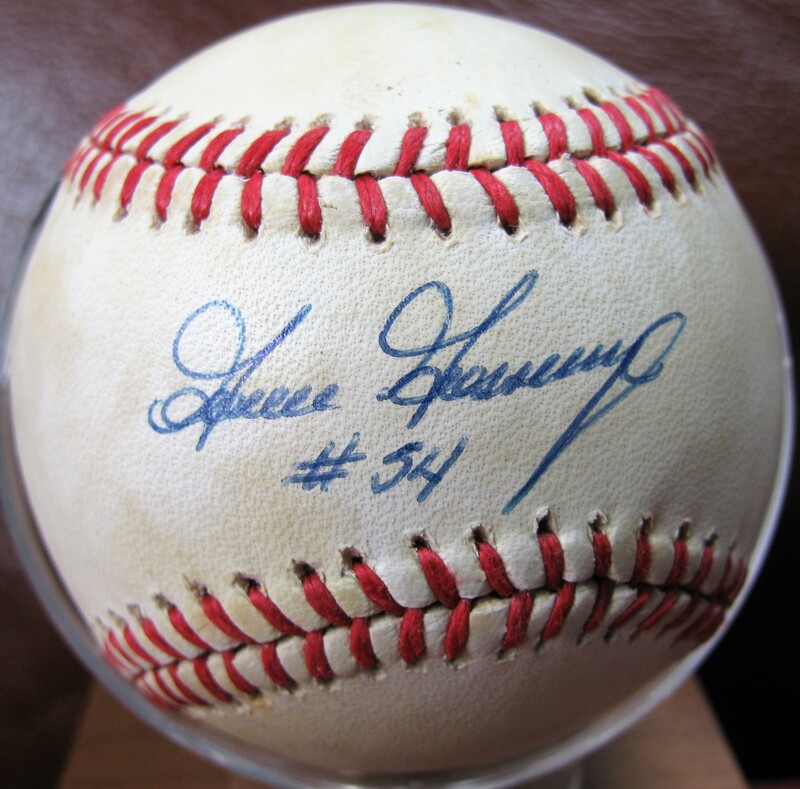 Goose Gossage #54 Signed Baseball. Goose signed in blue pen across the sweet spot of this Official American League Baseball. 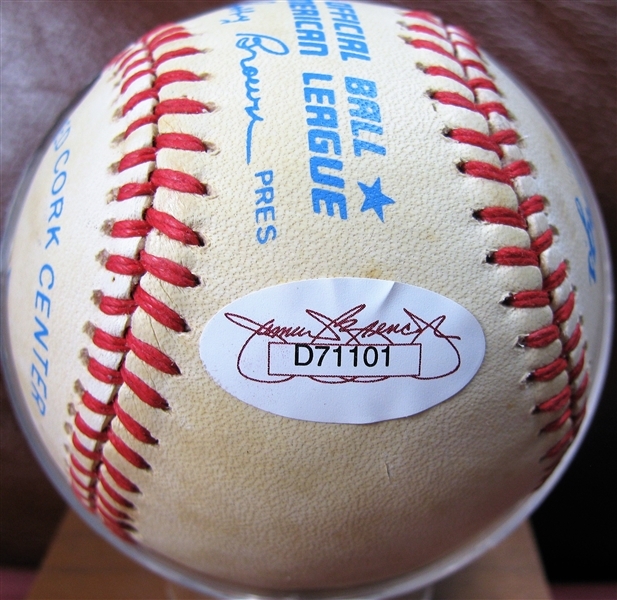 The ball has areas light toning, but still displays nicely. 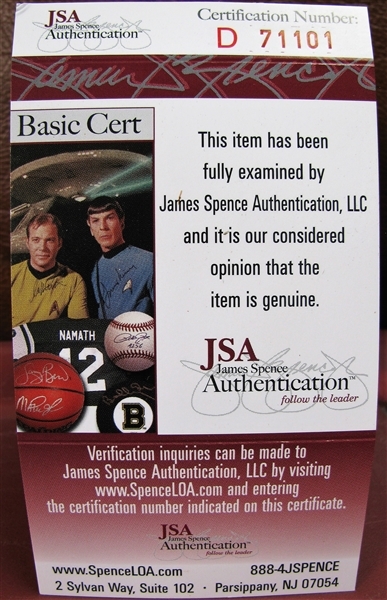 It comes with a COA from (JSA) James Spence Authentications.